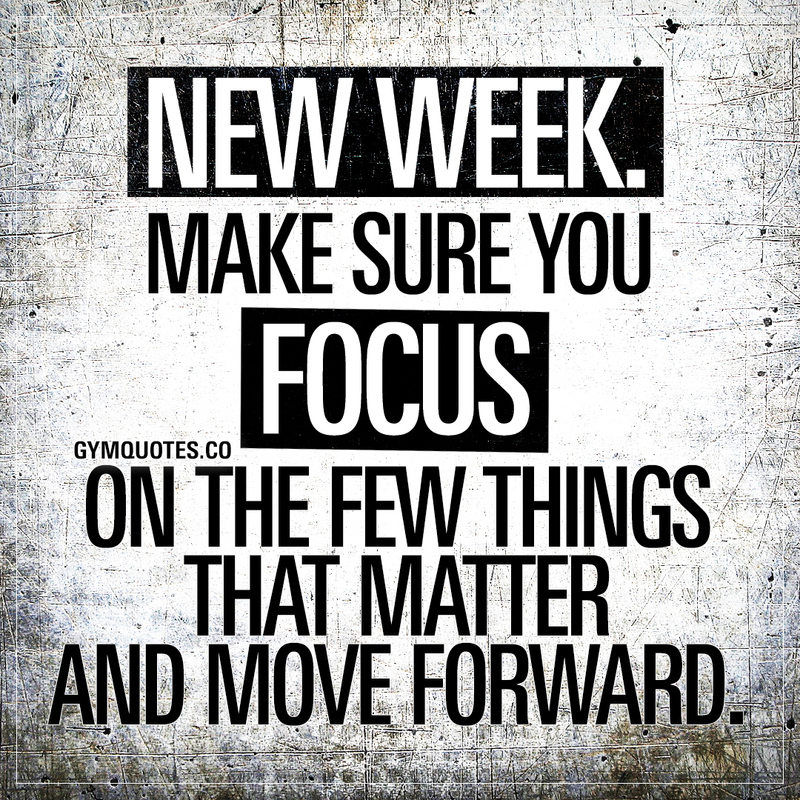 Monday motivation quote: Make sure you focus on the few things that matter. New week. Make sure you focus on the few things that matter and move forward. Monday. New week. Do you realize it’s already February? Wonder if anyone else think that January went by way too fast? Insane how fast the first month of the year went by! There’s no time to waste! Distractions are everywhere and time is limited, so make the most out of this week by removing all distractions and focusing ONLY on the few things that actually matter. It’s so easy to get distracted, but think about your goals (daily), block out everything else, keep your focus on those and keep moving forward.